Cycling in Greece has proven to be a great experience. The countryside is as beautiful as the coastline, and the weather has been pretty ideal. 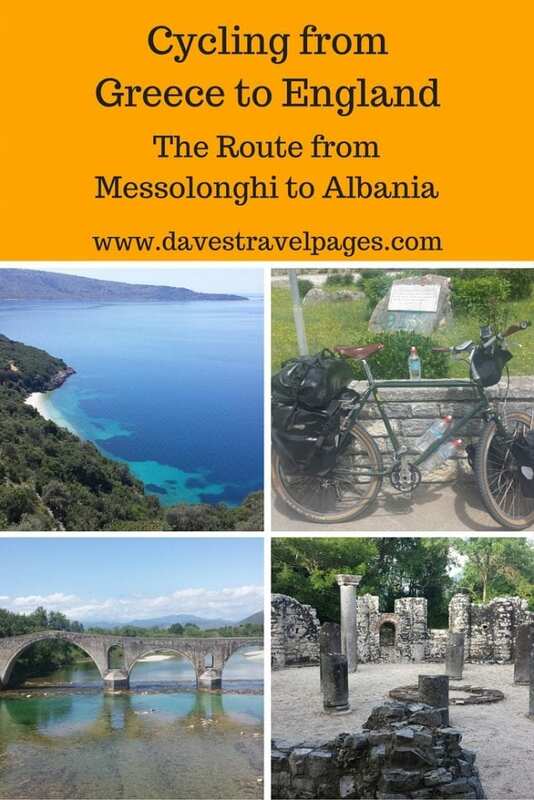 Read on to find out more about the route I cycled from Messolonghi to the border with Albania. This blog post is an update from my Greece to England bike tour. 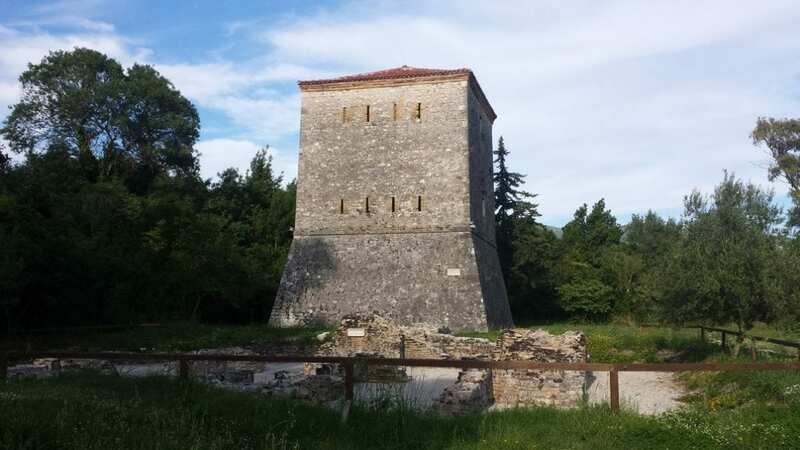 As the description indicates, it covers the section of journey between Messolonghi and Albania. I made a vlog a day during my bike tour, and you can find the videos embedded below. These should give you a good idea of what life was like on the bicycle tour! It looks like it was a wise decision to take an extra day off in Messolonghi, as I described in my previous bicycle touring in Greece update. The weather was good to me, although a strong headwind picked up towards the end. As the campground I had originally been heading for had apparently been closed for five years, it was another hotel for the night. Again, this worked out great, as I had some work come in which I was able to complete online in a couple of hours. I love it when a plan comes together! The vlog for cycling from Messolonghi to Amfilochia is shown below. 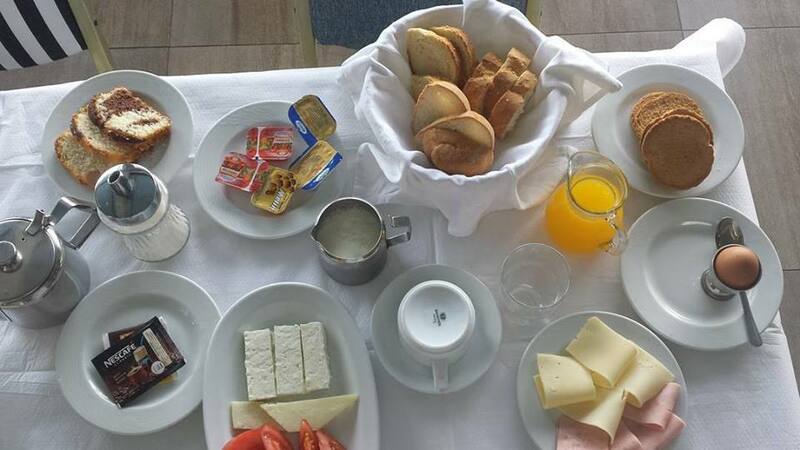 Before I start, I have to mention the awesome breakfast at Amvrakia Hotel in Amfilochia. Just look at that! And yes, I did eat it all!! There is a new (ish) underground tunnel near Preveza, but unfortunately bicycles are not allowed through it. This meant I had to take the long way around via Arta. I am quite glad I did though! Arta was a wonderful little town to pass through, and from what little I saw, it would definitely have been worth spending a day or two there. The walls of the castle were extremely impressive, as was the old stone bridge shown below. This trip though, is not quite as open-ended as some of the other bicycle touring trips I have done, as I have several set dates and deadlines I have to meet. Still, Arta is there for the next time I am cycling in Greece! Again, as I headed to Kanali Beach, the wind picked up towards the end of the day. It is one of my least favourite elements! The destination for the night was Monolithi Camping, which was a bit of a strange place. It did though, have the softest ground of any campsite I have stayed at in Greece, so extra bonus points! The route I had planned for cycling in Greece had been as deliberately flat as I could make it. This was so that I could ease back into bicycle touring, and also so that I could cover some ground reasonably quickly. It is impossible to plan a completely flat route for cycling in Greece though! This was especially true between Kanali and Parga. If this is a taste to come of what I may expect cycling in Albania, things could get a little tougher for me over the following weeks! I ended the day in Acrothea Hotel in Parga, who kindly hosted me for two nights through the Travel Bloggers Greece association I am a part of. Thank you for supporting the #greecetoengland bicycle tour! It is an incredible hotel, and you can check out the room I had in the video below. 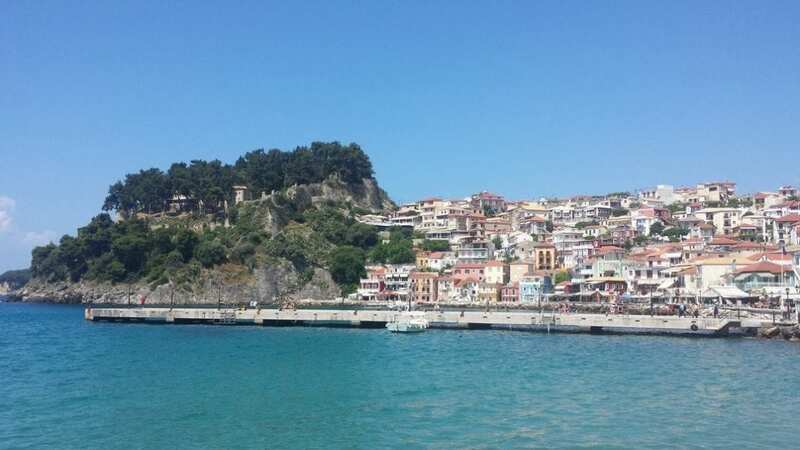 I took the day off from cycling in Greece to spend in Parga sightseeing. 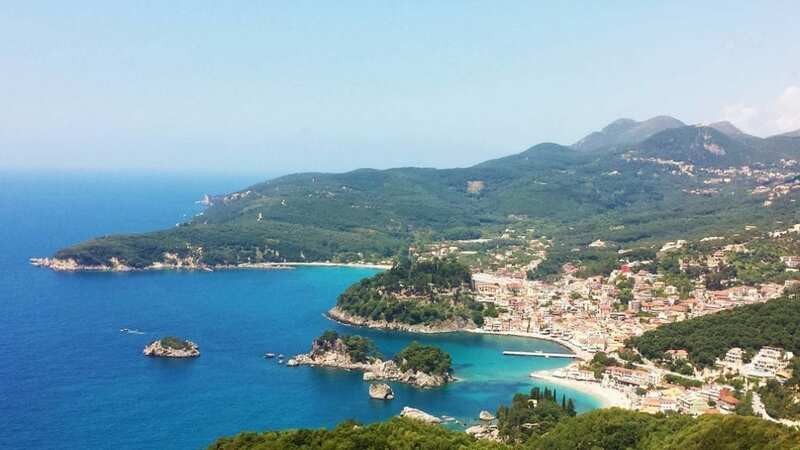 There is no point in me writing about it here, when you can check out a full article on how to Explore Parga from Acrothea Hotel! This was always going to be a challenging days ride, but I love a challenge! The initial steep climb out of Parga was hard work, but then things got a little easier as I followed the coastline heading north. At points, my GPS and the road signs were in disagreement. I believe that too many roads are marked not for cyclists on Open Street Maps because of short tunnels (like less than 100 metres). This is quite irritating, but as I mentioned in a previous video, I use the GPS as a guide rather than something to rely on. Today's ride included my first border crossing of the bicycle tour. There is always something exciting about crossing the border into a new country on a bicycle, as opposed to just landing at an airport. There is a sense of anticipation, and also reflection on the country you have just cycled through. 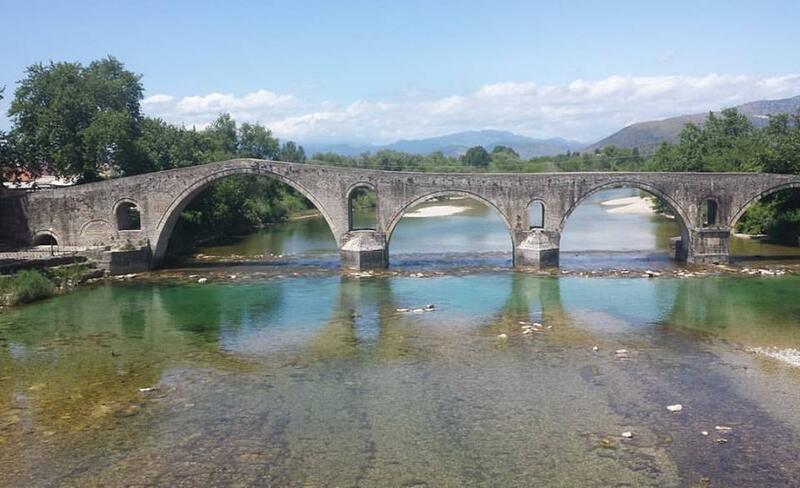 Cycling in Greece has been great, but a new country beckoned – Albania! The border crossing was quick and easy, and I was soon pedalling towards Ksamil, where there would be a campsite. Leaving the main road, I cycled through parts of Ksamil National Park, and then reached a river crossing with a cable-ferry. It was just a euro or 140 lekh to cross (so far, currency is interchangeable at about that rate). On the other side, was some sort of archaeological site. What could it be? 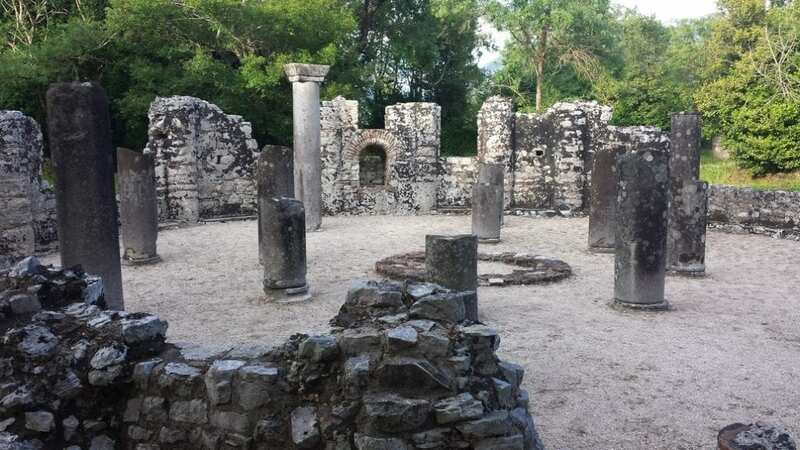 Could it be Butrint? Yes, it was! And due to the time difference between Greece and Albania, I had gained an hour, so the place was still open! 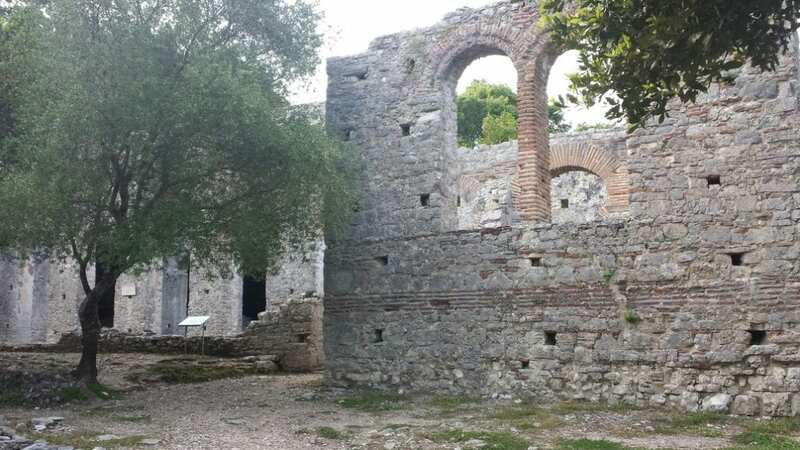 I hadn't planned to walk around Butrint today, but as I was already there, I decided to take a look. 5 Euro entry fee, and I left my bike with the security guard who said he would keep an eye on it. Butrint was an incredible site to visit. In a way, I wish I had more time than just the couple of hours I had, but I believe I made the most of it. What's more, I was the only tourist there. Wonderful! 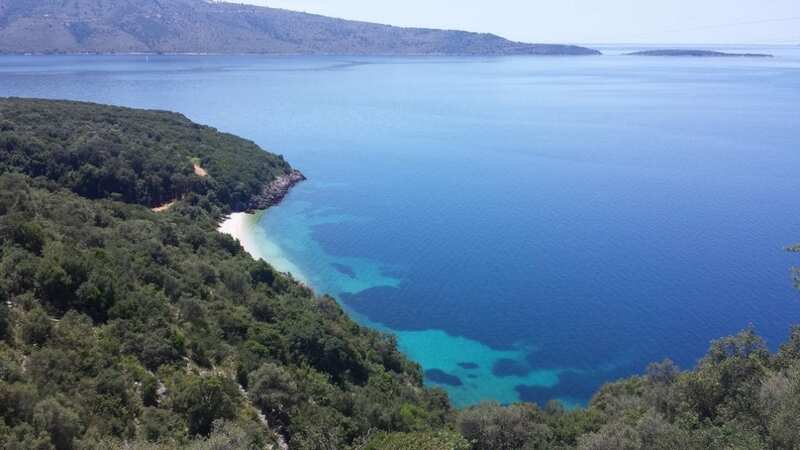 After leaving Butrint, I cycled the 5 remaining kilometres to Ksamil Caravan Camping. The owners there were just wonderful, and welcomed me with a coffee, cake, and sweets. 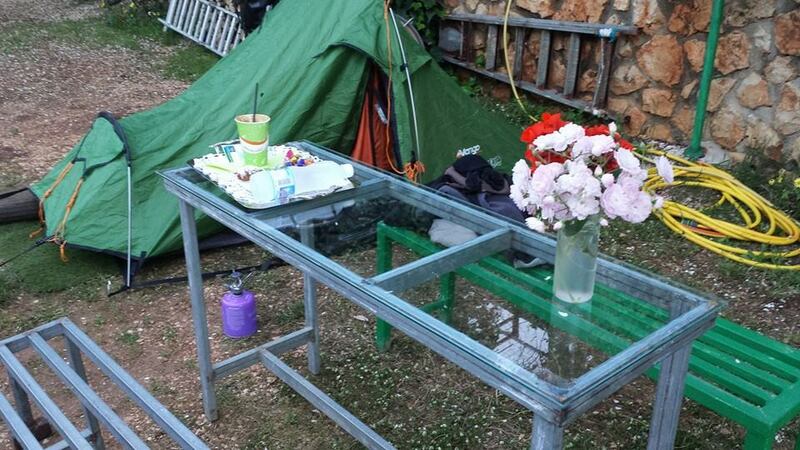 Other campsites around the world are going to need to step their game up to compete with Albanian hospitality if this is anything to go by! excellent blog and inspirational to someone just starting out on bike touring.